Welcome to Day #4 of Chocolate and Caramel Theme Week. 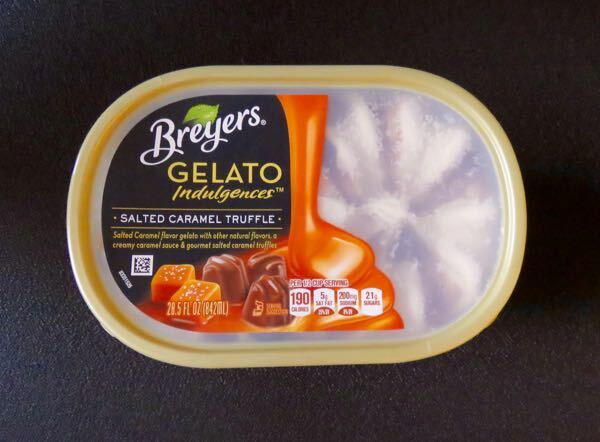 Today's Salted Caramel Truffle "Gelato Indulgences" from Breyers (part of Unilever) was a frozen dessert meant for unrepentant sinners. The attractively sculpted, rich, creamy dessert was loaded with sugar, corn syrup and heavy cream. 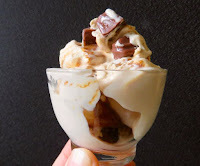 Tiny chocolate caramel truffles and swirls of caramel on top (visible through a transparent lid) enhanced the appearance and sense of decadence. 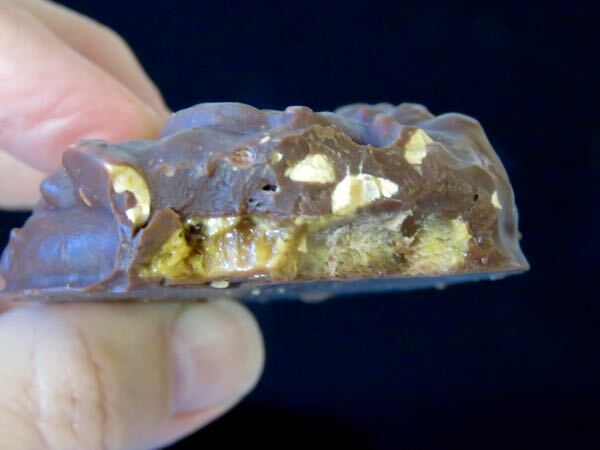 A small serving is likely to satisfy a caramel craving. 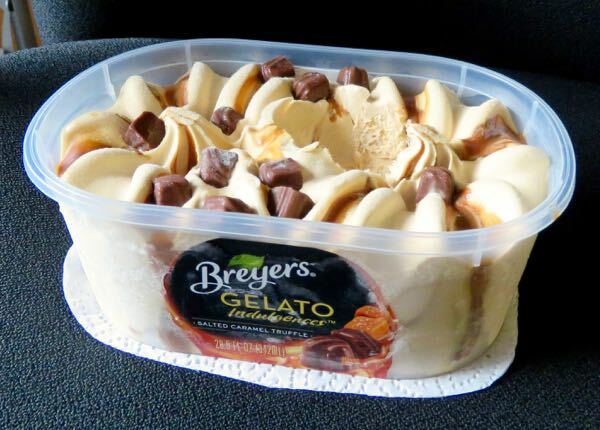 While labeled "Gelato Indulgences," this dessert might be more closely related to very rich ice cream. (It's marketed (to adults) as being "way beyond ice cream.") But, it also had a certain loft or airiness to it, allowing it to tip the scales at only 190 calories per 1/2 cup serving. Welcome to Day #3 of Chocolate and Caramel Theme Week. Here at Chocolate Banquet, we sample a variety of chocolates, from hand-crafted artisan dark bars to vintage chocolate candy bars. The salt and sweet levels in this bar were relatively well balanced, i.e. 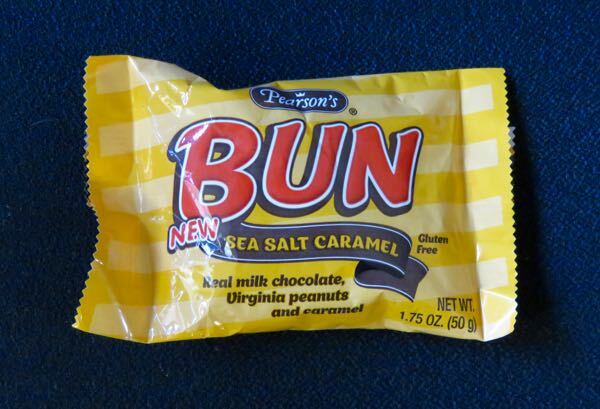 not as sweet or salty as some candy bars (a good thing). The patty-shaped milk chocolate bar was studded with good-sized Virginia peanuts; and the caramel filling in the middle was satisfying without being too overabundant (messy)—important for a bar often eaten on the go.